The forefoot of the shoe features conical studs on the medial outside, which are very similar to your traditional AG boot’s “suction cups” – these are designed for quick rotation. 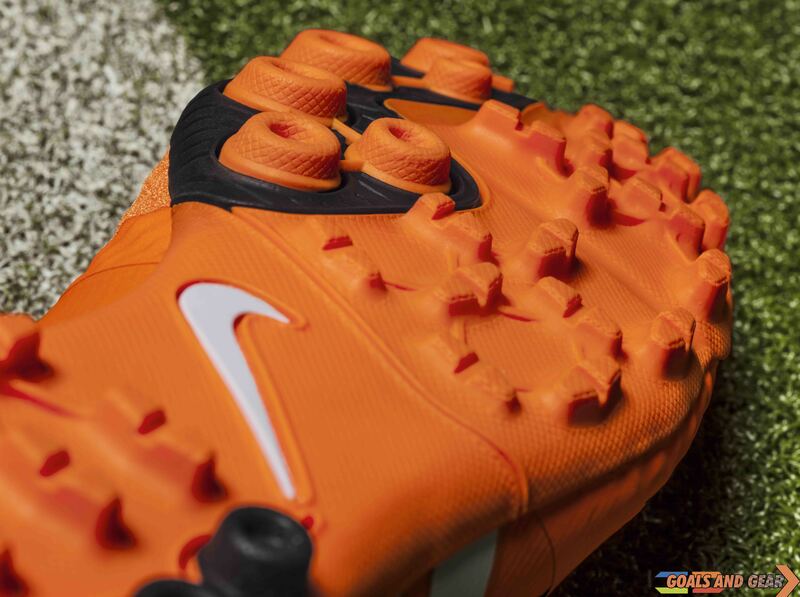 While tactically placed oblong rubber studs on the curve of the foot help traction, stability and ball control under the foot – with a low profile. 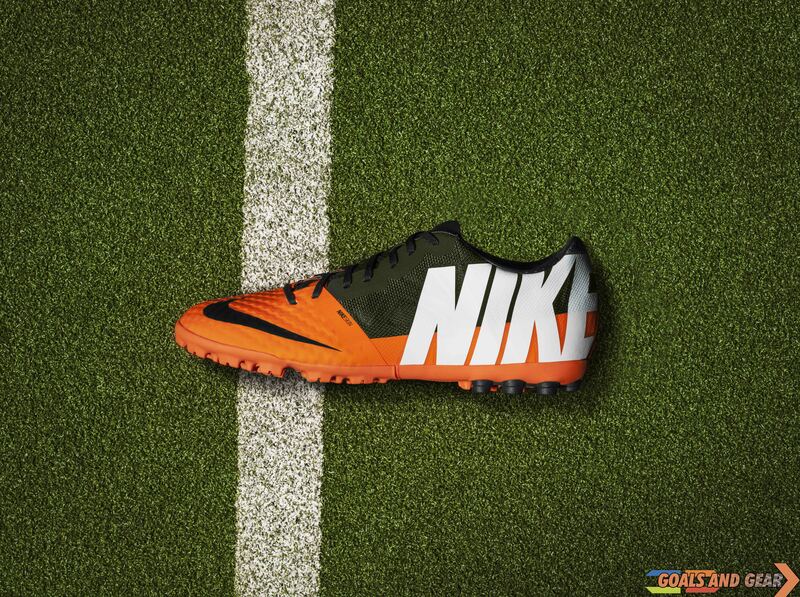 The boot also sees the reintroduction and redesign of an old feature – NikeSkin. Previously NikeSkin was featured on boots as a simple upper – but now we see a complete reinvented upper material – which features a performance mesh – that is fused with a polyurethane skin, which is somewhat similar to snake skin in design, and offers a contoured texture for lightweight and a closer-to-the-foot-fit. 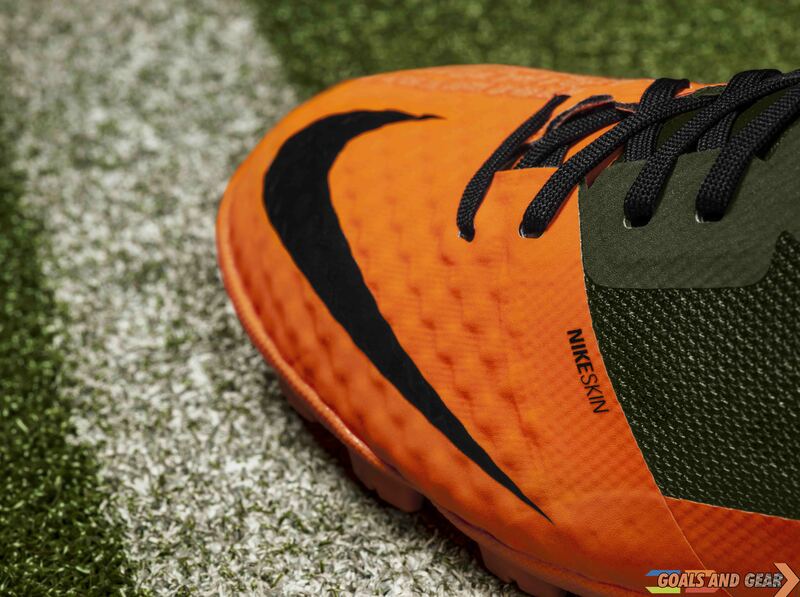 This is a fantastic innovation, and we can not wait to see where Nike goes with it. The instep of the toebox features a much rougher surface which allows you a greater grip on the ball, for cutting and shooting ‘finess’ shots. While we are on the topic of shooting: the Bomba Finale II features off centred lacing which will give you a greater striking area with your foot – to hit those ‘sweet spot’ shots. 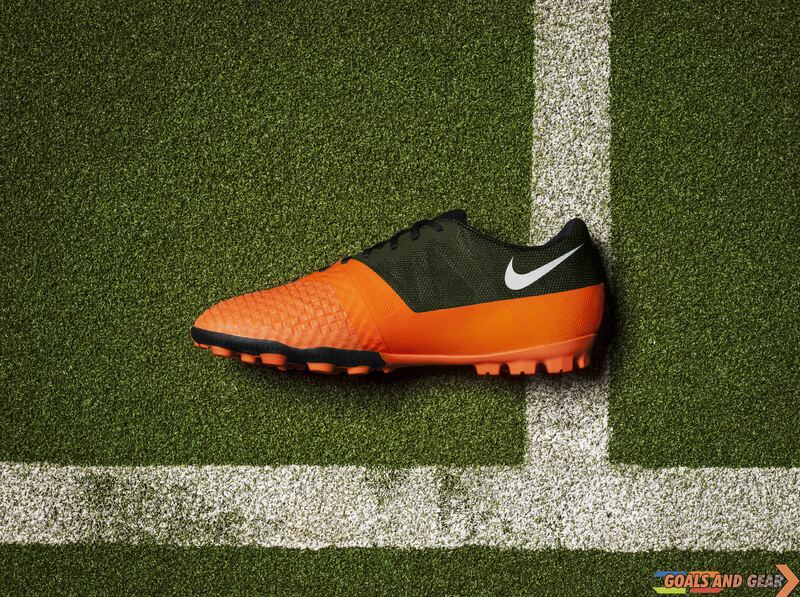 The mid/rear foot of the boot reminds us a lot of the Nike GS – the boot looks to be made from an engineered mesh which will allow for a much lighter boot, while an interior band offers help and stability lock down across the medial and lateral quater of the shoe. The boot also features a moulded EVA sockliner – often seen on running shoes, the EVA sockliner was also included in the CTR Range and delivers a great heel fit, low profile cushioning and maximum comfort. 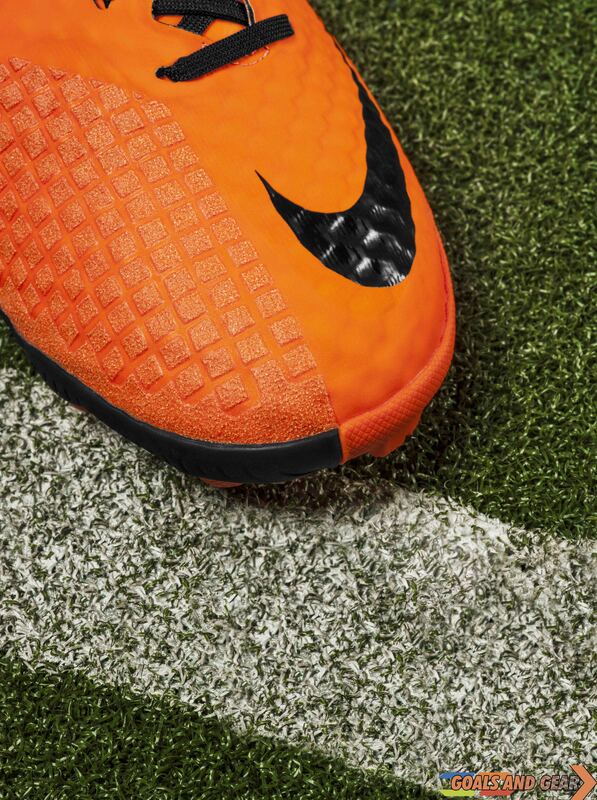 excitingly, the boot also features Nike’s All Control (ACC) technology, which helps to provide consistent ball control in dry and wet conditions. Goals and Gear aims to provide you with the most up to date pictures and reviews of all things football, as well as leaked images of upcoming boot releases. Posted on March 14, 2013, in News and tagged 2, acc, AG, artificial, bomba, finale, grass, GS, II, Nike, soccer, sports, style, turf. Bookmark the permalink. Leave a comment.